Being able to stop fuel flow can prevent a dangerous situation from becoming an emergency. ABYC standards require a fuel shut-off valve to be installed at the tank to pass their H-24 fire test. The USCG uses a similar test and also requires an anti-siphon or shut-off valve be installed at the tank pickup for tanks installed above the engine fuel inlet (carburetor or injectors). 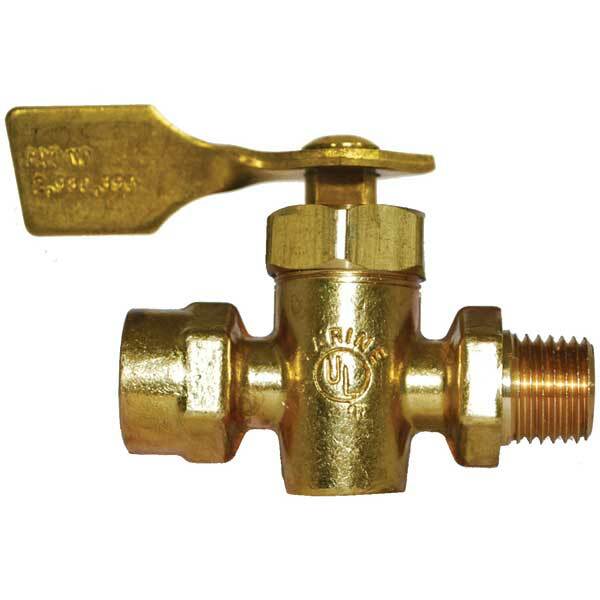 Our forged brass shut off valves meet both requirements. These inline valves are offered in several configurations with male and female 1/4" NPT ports to match most common installations. Valves can be opened and slowed in a quarter turn. We recommend the use of a fuel resistant thread seal for the best possible seal.